Imagine a day when you have a razor-thin smartphone! You keep this weight-less, paper-like, bendable stuff in your pocket, unfold it, use it, roll it, even drop it willingly without fear of being smashed. We have been hearing of a flexible phone since 2005 when Philips demonstrated the first prototype of a rollable display. A number of tech giants have been working to make this possible. If you are a web-monger, you must have seen demos of a flexible display popping now and then. We just wonder if we shall ever be able to have such a smartphone in our hands! The answer is obvious if you believe a BBC report that says we’ll be seeing the first foldable/rollable phone as soon as next year. 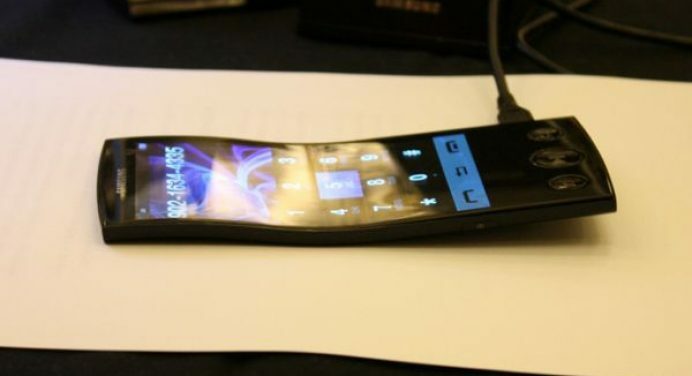 Some major tech companies like Samsung, LG, Philips, Sharp, Sony and Nokia are planning to release such a phone with flexible display in 2013. Another question, however that rises in our mind is if it is possible to make a truly foldable phone without a foldable motherboard and a foldable battery. How will Samsung manage all this? Just wait and watch- that is what we can say for now.